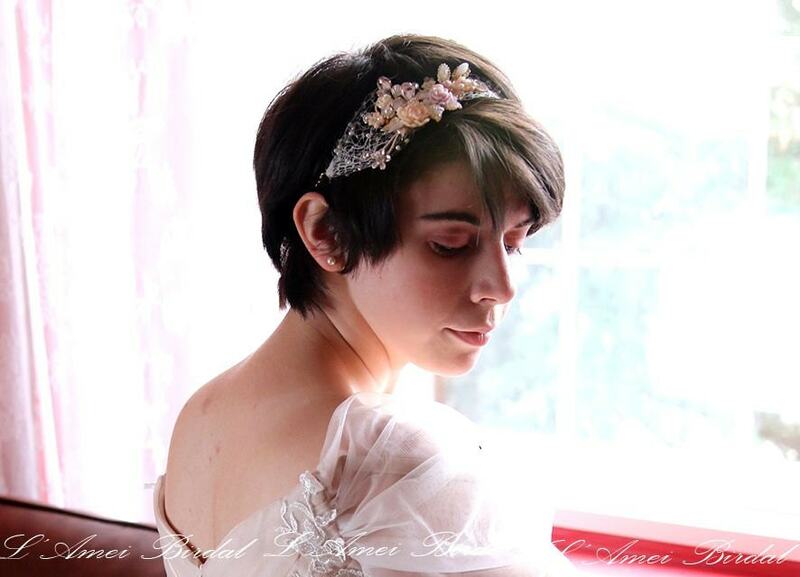 This smart headband is formed with 6cm wide , 30cm long. 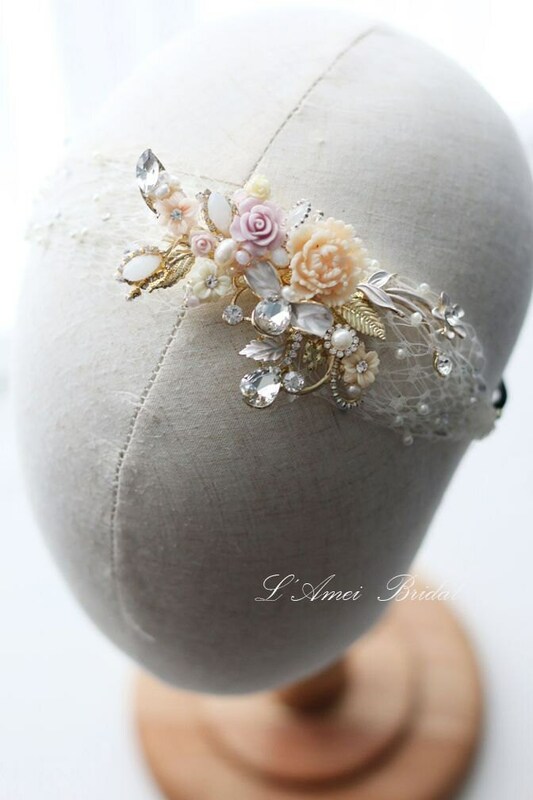 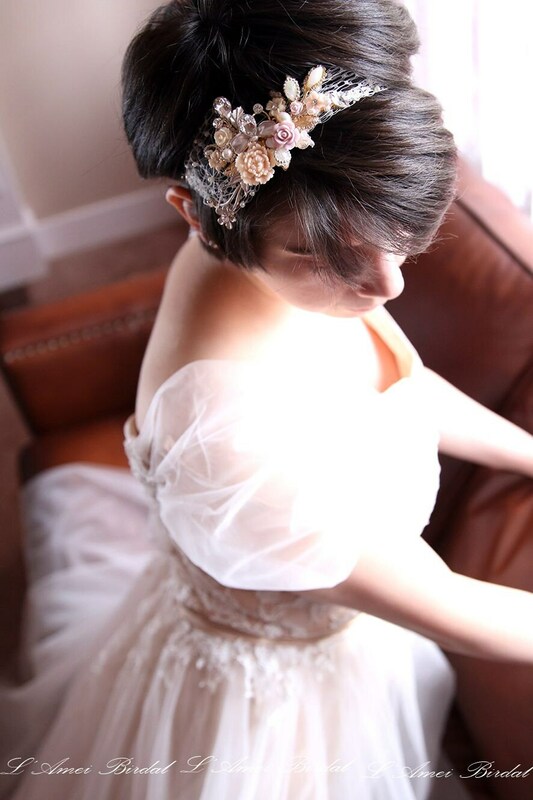 This is a romantic floral collage hair band with a beautiful timeless vintage feel! 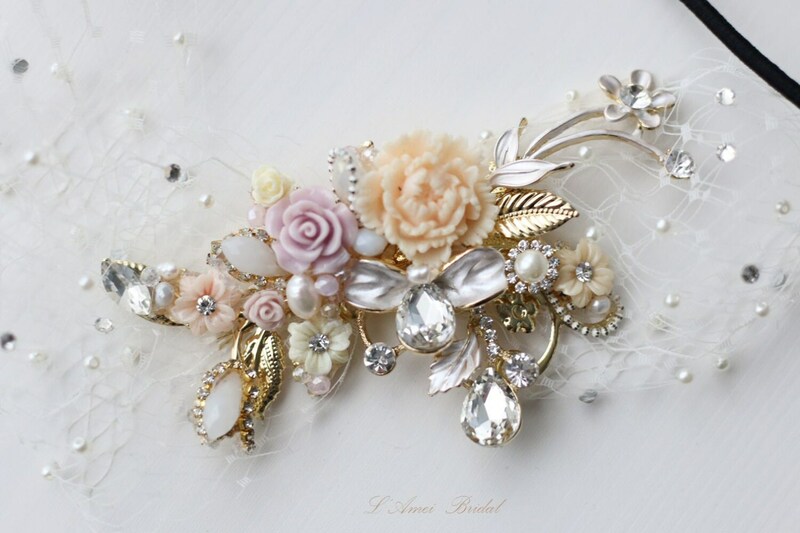 Offset to one side is a gorgeous large ivory cream resin rose with gold dusted petals.The other side of the comb is a bouquet of roses in ivory cream and soft pink! 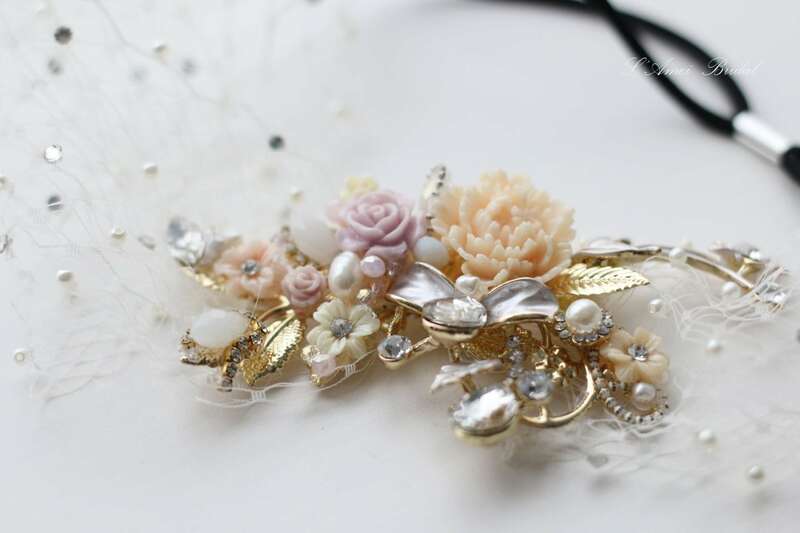 The antique brass gold branch and swarovski pearl sprigs add depth and height to this shabby country floral collage hair band!